BEIJING, Sept. 5,Chinese President Xi Jinping on Wednesday met with Chadian President Idriss Deby Itno who attended the 2018 Beijing Summit of the Forum on China-Africa Cooperation. Xi stressed the complete success of the just-concluded summit and thanked Deby for his important contribution to that success. 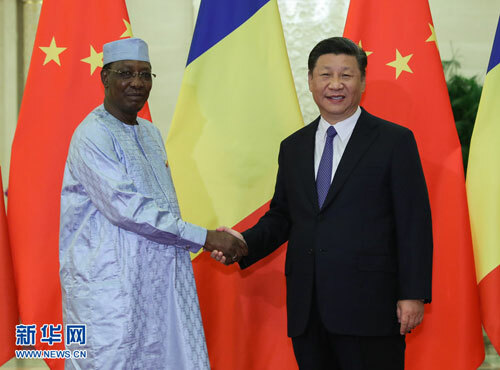 Recalling his previous meetings with Chadian president and many important consensuses they have reached, Xi called on both sides to build on the achievements and seize the opportunity of implementing the consensuses of the summit to expand cooperation areas for more outcomes. Both sides should maintain the momentum of high-level exchanges, strengthen exchanges in various areas at all levels, and continue to support each other on issues involving their core interests, said Xi. Xi said China stands ready to work with Chad in promoting the implementation of infrastructure projects, expand cooperation on energy exploration and exploitation, and help Chad advance its industrialization. China would also like to assist Chad in strengthening its capacities in counter-terrorism, and safeguarding peace and stability, according to Xi. Deby extended congratulations on the success of the Beijing summit, saying it was impressive to see so many African leaders attending a summit and exchanging ideas on working together towards a China-Africa community with a shared future in a fraternal and friendly way. He said it reflected Africa's trust in President Xi and China, as well as their expectations for and confidence in the Africa-China partnership. The eight major initiatives proposed by Xi are forward-looking and adhere to the principle of sincerity, real results, affinity, and good faith, Deby said. 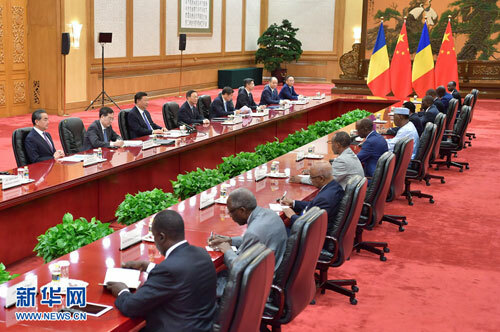 Highlighting the tangible outcomes from Chad-China cooperation, he also expressed gratitude for the help from China in the development of Chad over the years. Chad hopes to learn from China's development experience and welcomes Chinese investment and technology, so as to continue deepening cooperation between the two countries in various areas, said Deby.